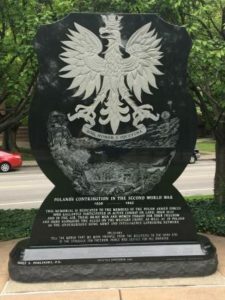 Honoring Polish veterans of World War II takes on both the role of memorializing the sacrifices of these men and women, and educating others about what the Polish military endured and sacrificed. 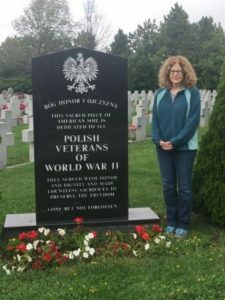 Today, I consider myself pretty self-educated on the Polish experience during WWII and include a lot of that history in my book. But, I can always learn more and will never know everything. If I lived near a strong Polonia community as in Buffalo, New York, where I recently visited and was so warmly welcomed, I am sure I would have grown up knowing far more. 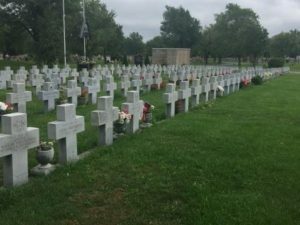 Why the story of Polish veterans is important history to be remembered and honored, especially by Americans and the British. Russian aggression towards Poland dates back centuries, and is still a factor in modern current events. Poles were our allies then, and since the fall of communism in 1989, Poland is once again an ally of the United States. Today, American troops are stationed in Poland, and Poland’s government is interested in establishing a permanent US military presence in their country. Why? It forms a deterrence against Russian aggression as exhibited in Georgia in 2008 and again in Ukraine in 2014. The issue has not been decided and is considered controversial by some. See Army Times May 2018 on the issue. 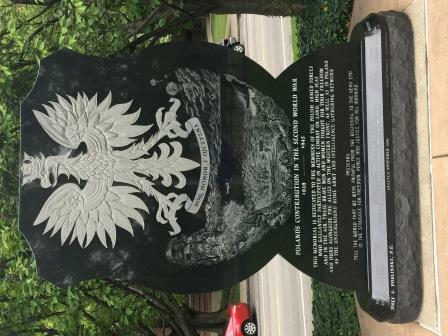 During WWII, more than 200,000 members of the Polish Armed Forces fought under the British High Command in hopes of defeating the Nazis and regaining a free Poland. An estimated 20,000 Polish pilots flew with the British RAF. During the Battle of Britain they downed more German aircraft than any other squadron. In an incredible snub and insult by the British government, it held a victory parade in 1946 and invited EVERY COUNTRY BUT Poland to march and be recognized. 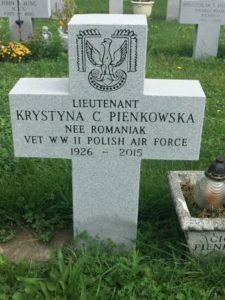 The contributions of the Polish pilots were all but forgotten. Public recognition in the UK of the Polish veterans and their war contribution has been a long time coming. The size of the public insult still staggers my sense of fairness and justice. Worldwide recognition is long overdue. Look up the 2004 book entitled A Question of Honor: The Kosciuszko Squadron: Forgotten Heroes of World War II. In April 1944, the 2nd Polish Corps in Italy fought as part of the British contingent next to the Allies in the Battle for Monte Cassino in Italy, one of the most important battles of WWII. An estimated 48,000 Polish soldiers served under the command of General Władysław Albert Anders, each already hardened from a harsh survival in Siberian gulags. It was the Polish units under General Anders who stormed the mountaintop monastery on May 18, 1944, reaching the top and raising the Polish flag. Thousands of Poles died or were injured as part of the estimated 55,000 Allied soldiers who lost their lives in the hard-fought battle. Norman Davies wrote an in-depth 600-page account in his book Trail of Hope: The Anders Army, An Odyssey Across Three Continents. 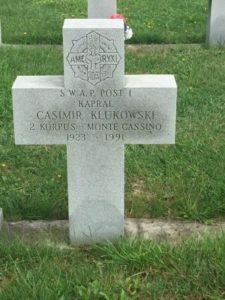 These are but two examples of Polish valor of fighting next to the Allies. 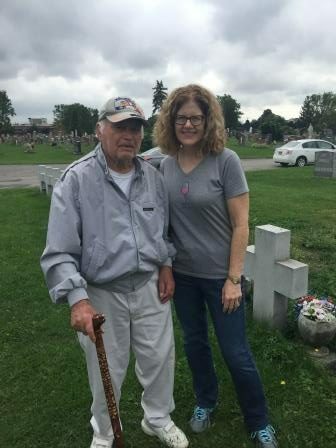 None of this history has ever been included in any account of WWII that I had read or seen in English-speaking WWII films prior to meeting Henry Zguda and conducting my subsequent research of Poland. I have my own theories for this blatant omission, which is a separate discussion. In Buffalo I visited the large Polish cemetery, of which a portion is dedicated to Polish veterans. Coincidentally, we visited there on September 11, an already somber day. There I walked past rows of crosses that indicated where each soldier had fought or been inprisoned. We met Edwin who was visiting his mother, cousin and his friends. 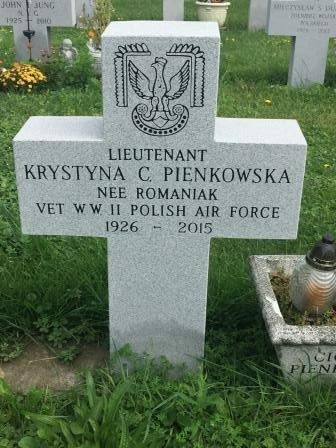 He knew every one of the veterans buried there, and also translated the Polish wording for me. In addition to monuments, the Buffalo & Erie County Naval and Historical Park has a sizable Polish Armed Forces Exhibit deep inside the USS The Sullivans, one of two Navy ships on display. Be prepared to descend and climb multiple stairs to reach the exhibit. 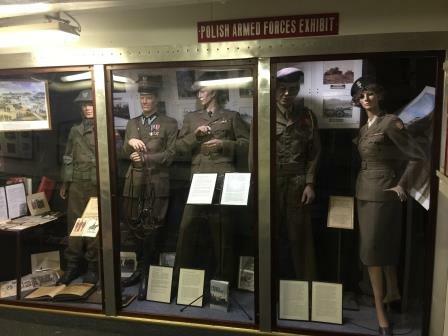 The exhibit includes multiple uniforms and other artifacts of the Polish military and war experience. Sadly, the museum plans to relocate this exhibit and reduce it in size, though that has not occurred yet. It has taken seventy-three years, but finally there is a mainstream movie about Poles who flew in the Royal Air Force for Britain. The 2018 film Hurricane was released in August, however as best I can tell, it is only scheduled for release in Europe at this time. I do hope it comes to the US. The views expressed in this article are solely of the author. However, all statements are based on historical facts.